According to Business Insider Intelligence, LinkedIn passed the 500,000,000 users mark in 2017. Breaking it down even further, they reported that there are approximately 260 million active users monthly—with 40% of those users checking LinkedIn daily. With over a half of a billion users since its startup in 2002, this platform is just as much a part of our professional lives as Facebook or Twitter is in our social lives. Regardless of your current employment status, you should be keeping your LinkedIn profile updated and competitive. As it is a platform that so many are using daily, it should not be treated as a “set it and forget it” tool. Like your professional career, your profile should be ever evolving so that you can optimize your visibility and LinkedIn presence. Along with periodically updating your profile picture (no photos from the early 2000s allowed), you need to update your summary as changes in your career occur. Your profile’s summary should be current and stand out so that the viewer will choose to read further to learn more about you and what makes you incredible in your field. 1. Wow the reader in a few sentences. Yes, you read that right—you only have a few sentences to impress your profile’s viewer before they are forced to decide if they are going to click “Show More” or stop reading altogether. Draw their focus into your summary by wowing them in the first few sentences. Your summary should complement and give narrative to the rest of your profile, helping the reader decide if they are interested in you as an employee or contact. 2. Include keywords. Litter your summary with keywords to optimize your chances of being found when they type certain keywords into the search bar. Words like “hard working” and “dedicated” are nice in theory, but do little for your searchability. If you are unsure which keywords to use, determine which specific roles you have held and key training or functions that have accompanied those. 3. Fill the space. One mistake that people make is leaving the summary space blank because they feel as though they don’t have enough career experience to fill it. This is especially true for those who have a gap in their career history or have recently entered the workforce. This is your opportunity to explain the break, why you are just beginning your career, why it has benefitted you and how it makes you a desirable candidate in your field. Think of your summary as a new age cover letter and create a narrative to accompany the other information found on your profile page. 4. Show your personality. 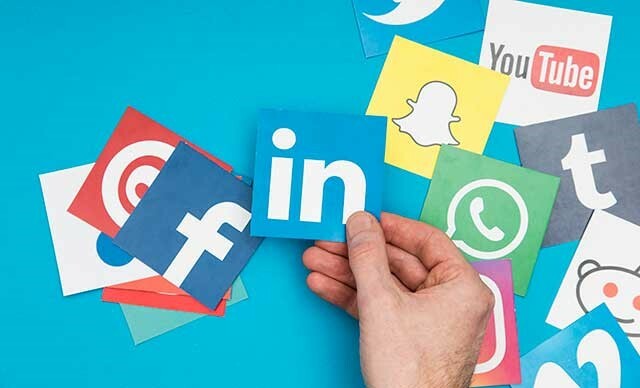 While LinkedIn vastly differs from platforms such as Facebook or Twitter in that it should always carry a professional tone, your reader does want to get to know you. While the amount of personality that you sprinkle into your summary will be somewhat industry dependent, make sure that it is not devoid of personality altogether. 5. Include future goals. In addition to explaining where you have been, close with where you see yourself in the future. Remember, this can always be edited as your career progresses, but it is smart to let potential employers know if your short and long-term goals align with theirs.